The Building Public Trust Awards recognise outstanding corporate reporting that builds trust and transparency. Now in their 14th year, the awards are sponsored by PwC and the public sector award is co-sponsored by the NAO. During judging we identified a range of good practice examples and illustrate a number of these in this interactive document. 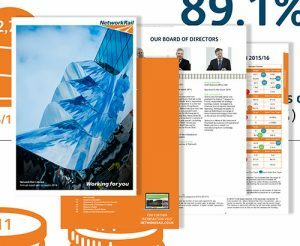 In 2016 the public sector award for excellence in public sector reporting was won by Network Rail. Kate Mathers, Executive Leader at the National Audit Office, sits on the judging panel for the awards. During the judging process we identified a number of examples of good practice from the 50 public sector annual reports and accounts reviewed. This interactive pdf summarises the judging criteria and highlights examples of good practice in reporting on strategy, risk, operations, governance, success measures, financial performance, people factors, external factors and understandability.